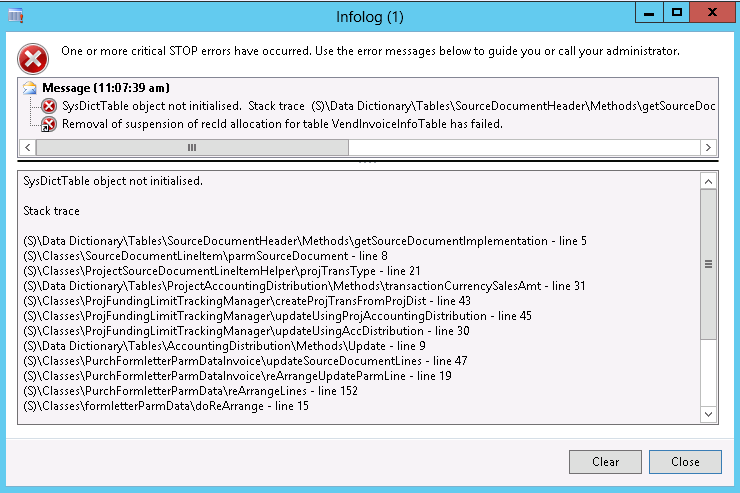 I am currently using AX 2012 R2 CU7 and even I am getting the same error while Invoicing the PO. I need to know few details like the “KB 2909584” that you mentioned belongs to which Cumulative Update? Moreover, was your issue resolved by applying just this hotfix? Would appreciate for your quick response. I can confirm, the hotfix did resolve my issue. Once you have implemented CU7, make sure that you merge the code with any changes you might have made. Else you wont have the latest version of the hotfix running.